The Winco LDC-12 Color-Coded Ladle 12 oz. with Grey Handle is perfect for spooning out consistent portions of soup and sauce. 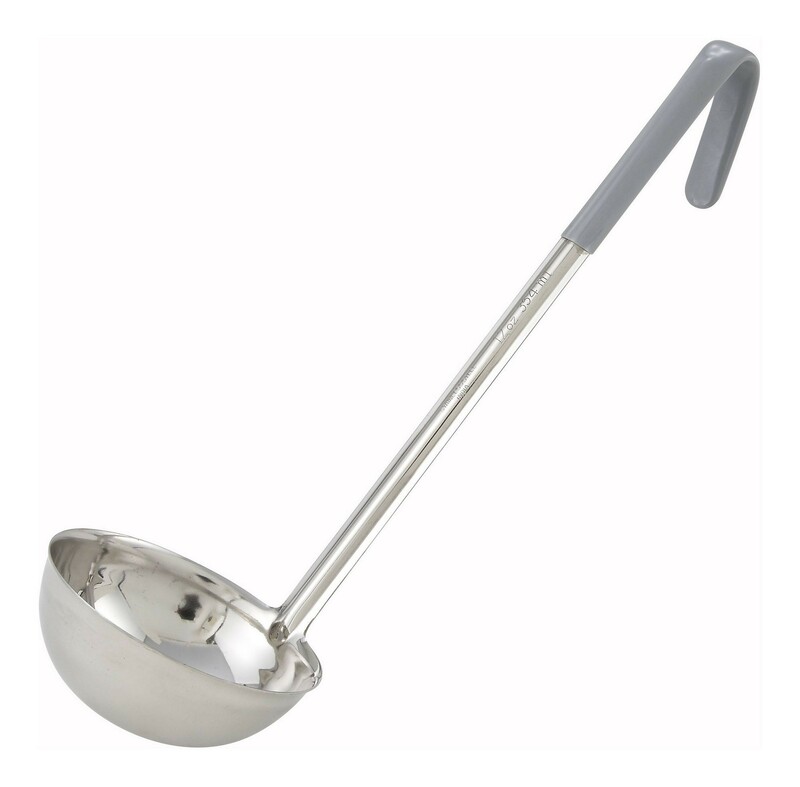 Crafted from highly durable stainless steel, this ladle is rust and warp resistant. It also has a long insulted handle that won't absorb heat and is long enough to keep you at a safe distance from hot food.